John F. Kennedy’s quote about crisis representing danger as well as opportunity is absolutely true. The headlines are full of crisis situations lately – for-profit companies, Starbucks and Southwest Airlines, are good examples of organizations that have recently experienced crises and turned them into opportunities to grow and learn. Risk management is attempting to identify and then manage crises or threats that could severely impact or bring down your organization. We were shocked to learn in a recent report that while upper-level nonprofit managers listed “risk management and legal issues” of high importance, lower-level managers listed it much lower in importance. We encourage leaders to re-evaluate risk management as a fundamental aspect for all leaders. Additionally, we encourage leaders to conduct a customized risk assessment while you develop or update your organization’s strategic plan. This will ensure that your personnel policies, insurance, contracts and audits are all up-to-date. Regular trainings and simulations will help build readiness for appropriate responses to crises. We all conduct regular fire drills – why not simulate what you would do if someone hacked into your IT system or your organization received a questionable audit? At your next executive meeting, brainstorm the top 5 risks and concerns for your organization and, before anything happens, discuss what you would do and find any holes in your response. Ideally, your response will be unified and based on your policies and management structure. 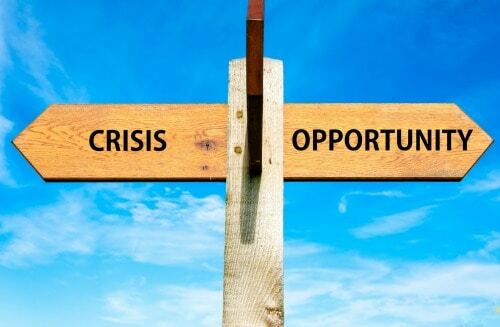 Crisis management skills should not be learned during a crisis. It is critical to know what to do and how to communicate appropriately, especially under the pressure of a crisis situation. In his article, “Best Practices in Crisis Communication” in the Journal of Applied Communication Research, Matthew W. Seeger supports developing a crisis communications plan, including release procedures, media contact list and designated spokespersons. Seeger also suggests that it is important to communicate with the public (including your staff and board). Be open and transparent, meet the needs of the media (if applicable) and collaborate with credible sources. He also encourages us to acknowledge uncertainty and accept that we cannot wait until all the facts are available. One of our collaborators, Aimee Sheahan, developed a customized blog post on this subject for nonprofits – we encourage you to read it. Once the crisis is over, it is easy to put it behind you and not collect the wisdom learned. We highly encourage an after-action review. If your organization’s credibility is undermined by a crisis, leaders need to acknowledge this and work proactively to explain the situation, acknowledge any mistakes and show what your organization has learned to earn back the trust of partners. This re-building effort may take time, but will be worth the effort. We hope you will take this opportunity to rethink your own risk assessment process and plan an upcoming executive meeting on top key risks for your organization. Trust me – it is well worth the time and effort. We welcome your feedback on what you have done in your organization.